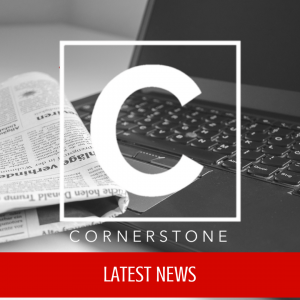 Director’s Message for March: Beginning on Easter (the last day of this month) we will undertake a second Passover to Pentecost Fast as a conference. Last year we sought God for a harvest of souls. This year we will ask the Lord to send more fire-baptized workers into that harvest. Jesus said in Luke 12:49 that He had “come to set the world on fire,” and referring to the coming Day of Pentecost, He went on to say, “I wish it were already burning!” Many of us remember the burning fires of Pentecost. We remember how the saints lived to give their time, their talents, their treasure, and their testimonies to see souls saved—both those living next door and those on the other side of the world. And I imagine that many of you share the heart cry of the 19th century British evangelist Billy Bray: “I was born in the fire, and I don’t want to die in the smoke.” Let’s all stay “on fire” for God and refuse to die in the smoke. And let’s prepare our hearts to fast for fifty days to see Spirit-filled workers enter into the harvest fields in unprecedented numbers. We begin on Easter—in the glow of that glorious Resurrection Morning—and conclude on Pentecost Sunday—in the glow of the flames that set upon the 120 in the Upper Room. I do not believe the Devil cares one whit if we have what appears to be a Pentecostal experience but do not exercise the “power to witness” that Jesus said would follow: “But you shall receive power when the Holy Spirit has come upon you; and you shall be witnesses to Me in Jerusalem, and in all Judea and Samaria, and to the end of the earth” (Acts 1:8). That fire-baptized witness is the key to the supernatural end-time harvest we seek. It is how Jesus desires “to set the world on fire” before He comes back to judge it. SUNDAY – Pray for our people to develop an ever-increasing burden for souls—to see people saved, sanctified, delivered, & discipled. 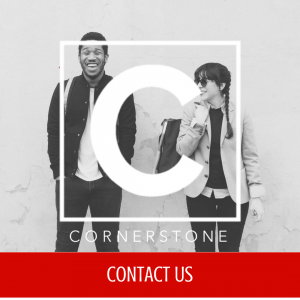 WEDNESDAY – Pray for every Cornerstone Conference pastor and congregation to have a burden to reach children and teens with the love and truth of the Gospel. SATURDAY – Pray for widespread participation in the upcoming Passover to Pentecost Fast (beginning Easter Sunday, March 31st).